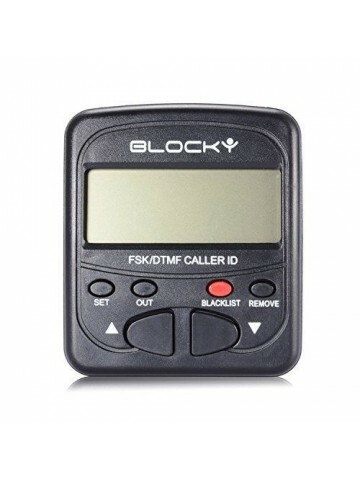 Do you tired of unwanted calls? Even if you are OK with them, some ill or malicious calls may hurt your children when they answer the phone. 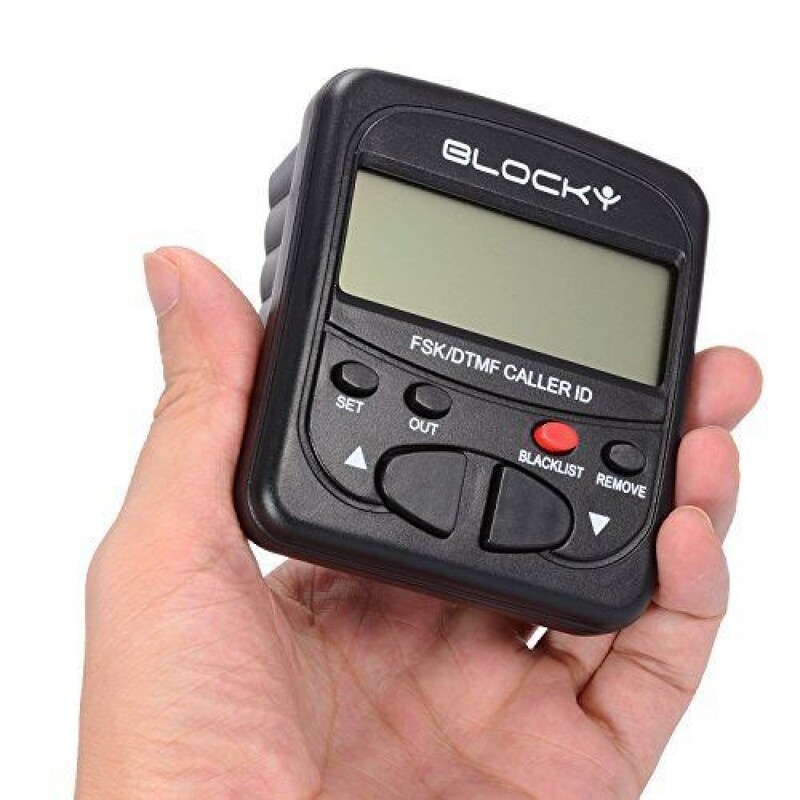 Our call blocker can help your family or company get rid of those calls! 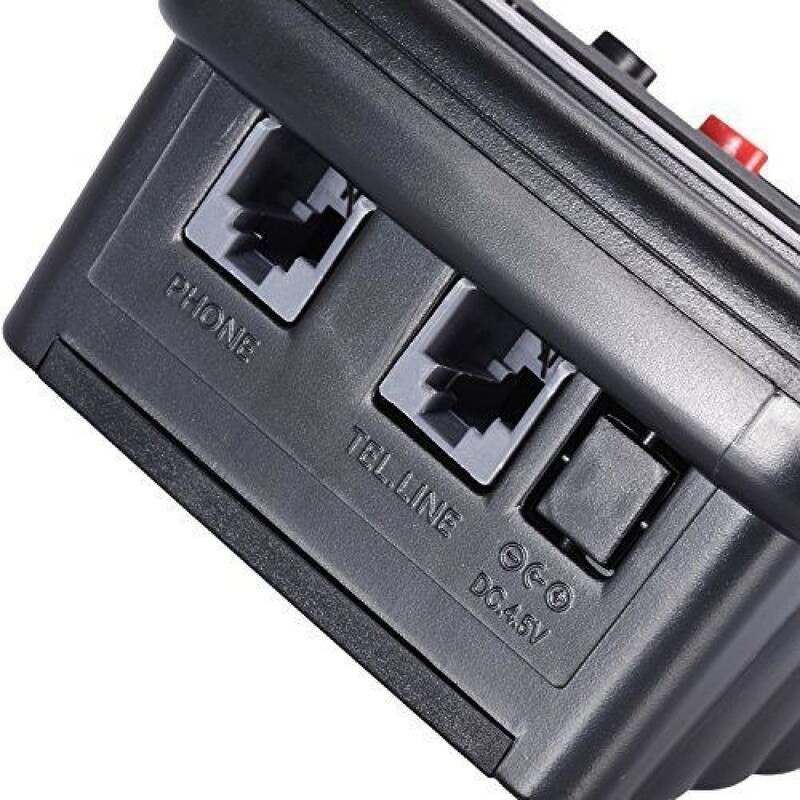 Our blocker is small and light, which won't occupy too much space on your desk. And its black look won't have negative effect on your desk's overall look. 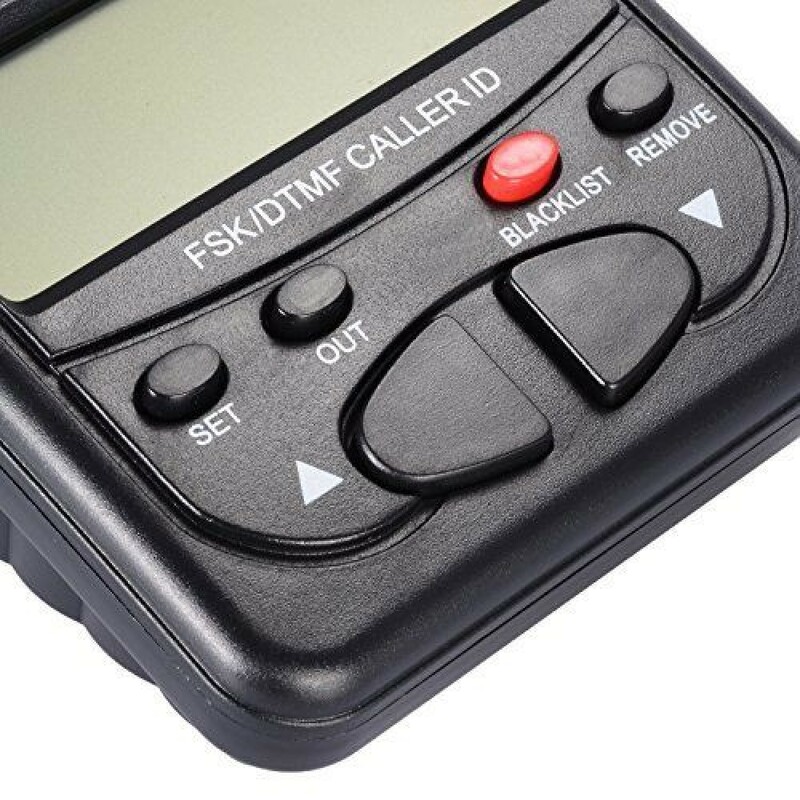 By pressing one button, you can put a call which are ringing, speaking, or on your call record to the blacklist. It is quite convenient. It can put up to 1500 phone numbers to the blacklist. And don't worry if you put a number in the blacklist by mistake. You just need to delete it from the blacklist. 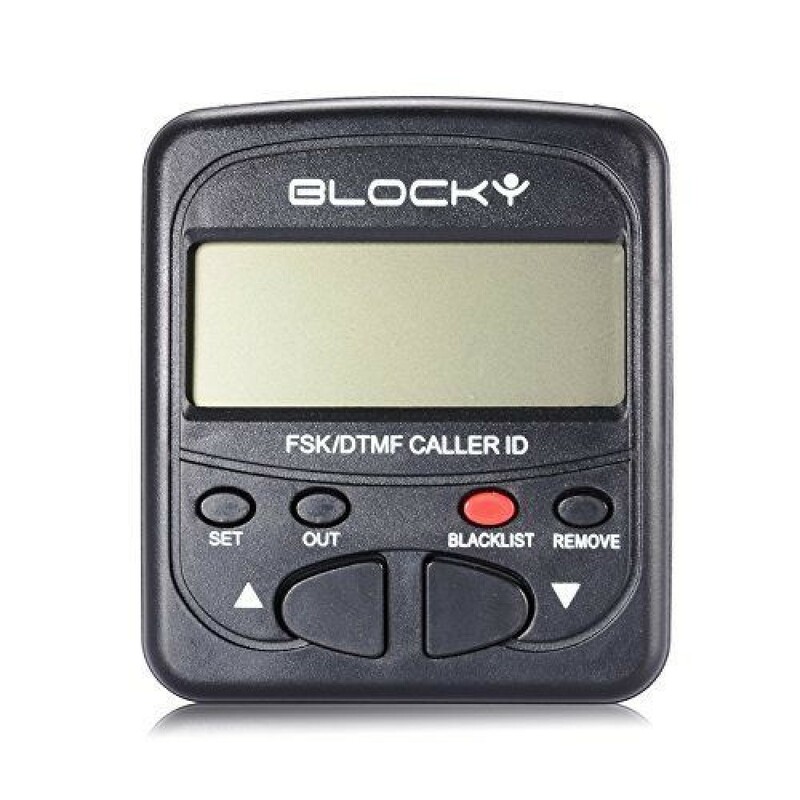 It can block area codes (up to 10), international, private, unavailable type masked calls and calls with no caller ID(shown as UNKNOWN, OUT OF AREA, PRIVATE, etc). 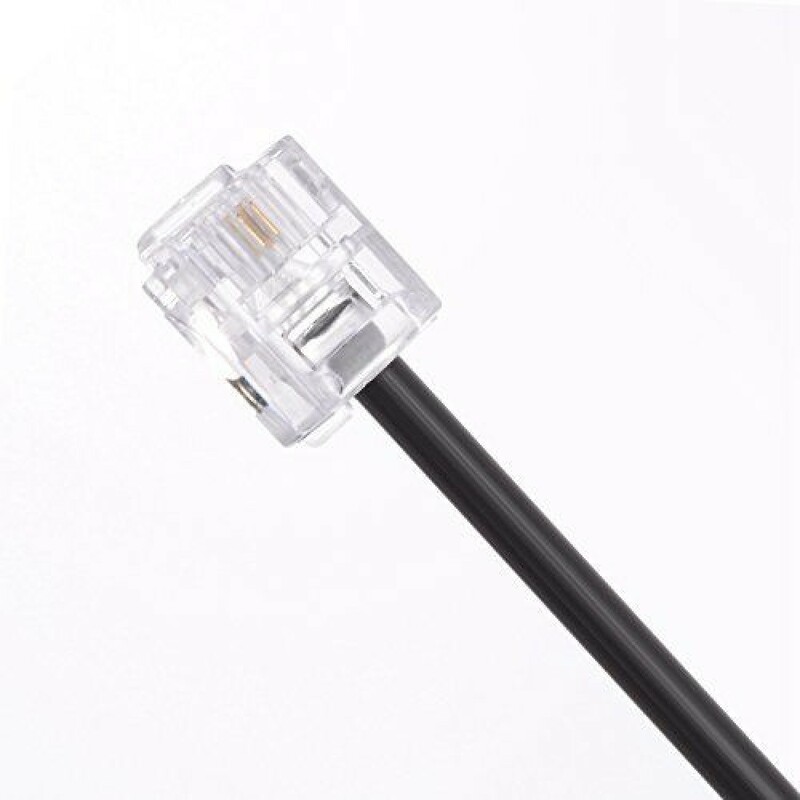 Compatible with FSK/DTMF, PSTN landlines, and VOIP services. 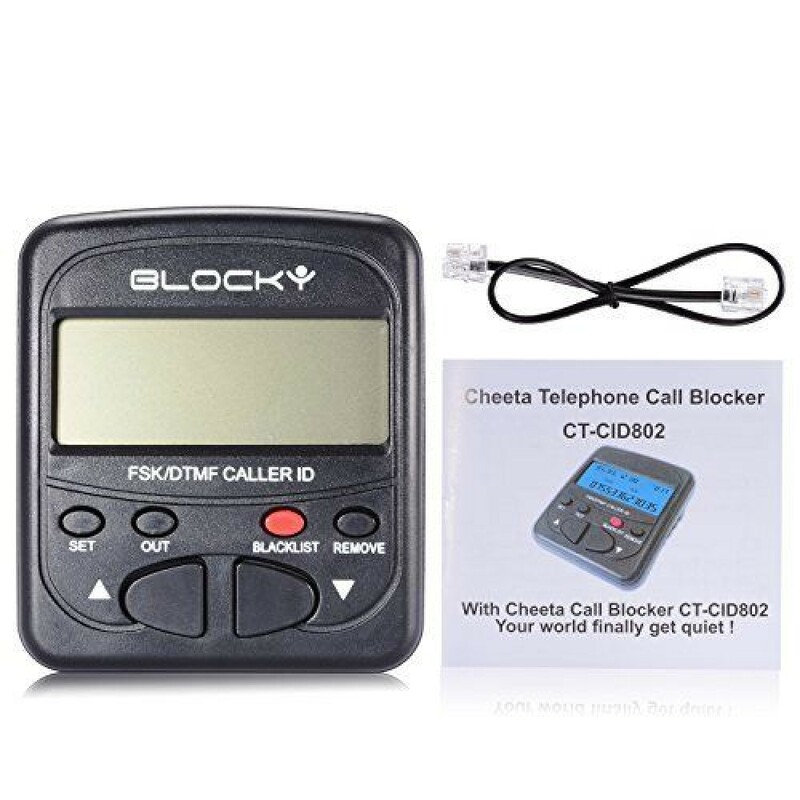 If you have any questions using this call blocker, please contact us. We will give you specific instructions. 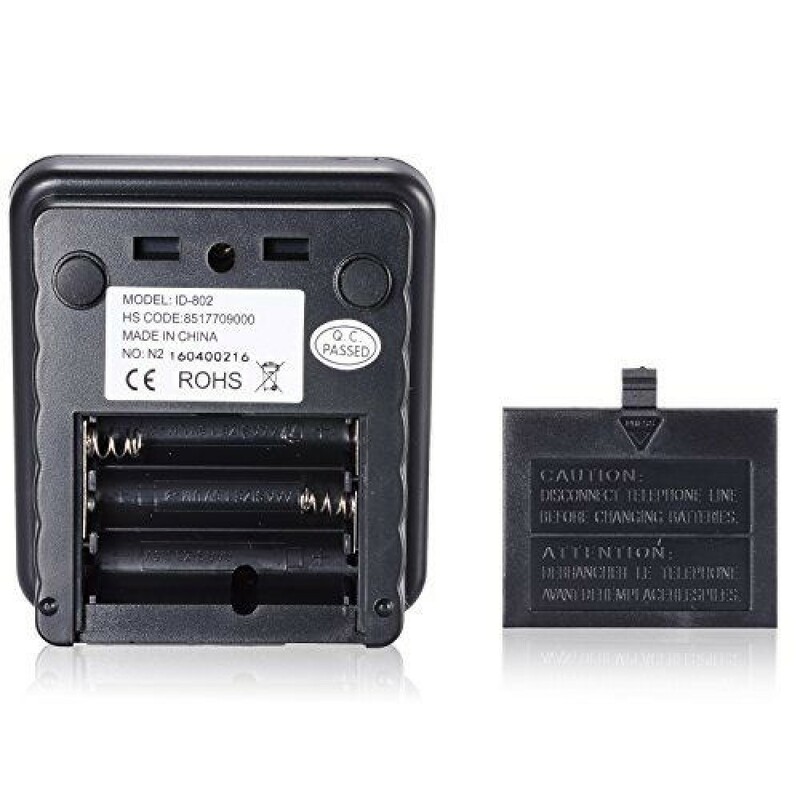 ▶ Backup batteries (optional) -- Uses 2 AAA batteries as backup to retain date settings (all the rest of the data is kept in non-volatile memory).